Microsoft is at it again, this time to showcase the power of Internet Explorer 11. 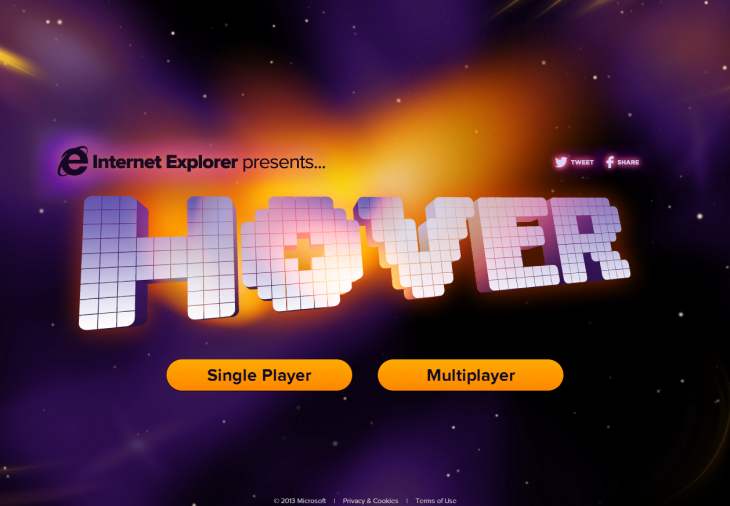 In a bit of a nostalgic twist, the company today brought the classic PC game Hover to the Web. Anyone can play the bumper cars-meets-capture the flag type game right from their browser and Microsoft has even added a multiplayer component to it. Multiplayer supports 8 different gamers, who enter once the lead has created and shared the URL.